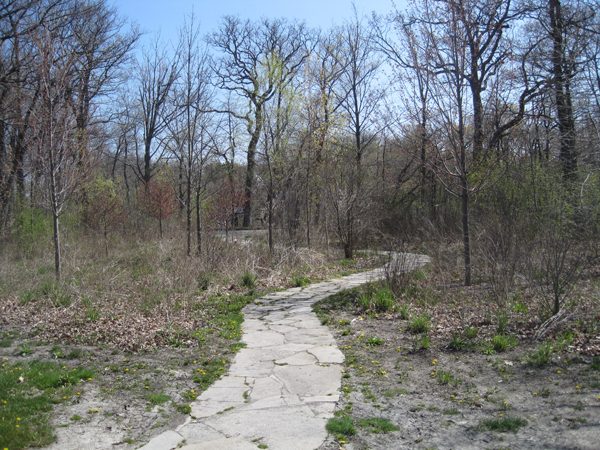 Designated as a site for a passive public park in the 1857 Plan of Lake Forest by landscape gardener Almerin Hotchkiss, the land was formally donated to the City of Lake Forest in 1861 by the Lake Forest Association when the city received its charter from the State of Illinois. 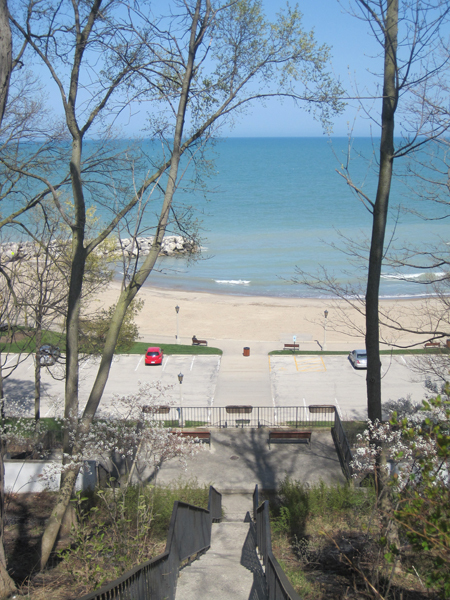 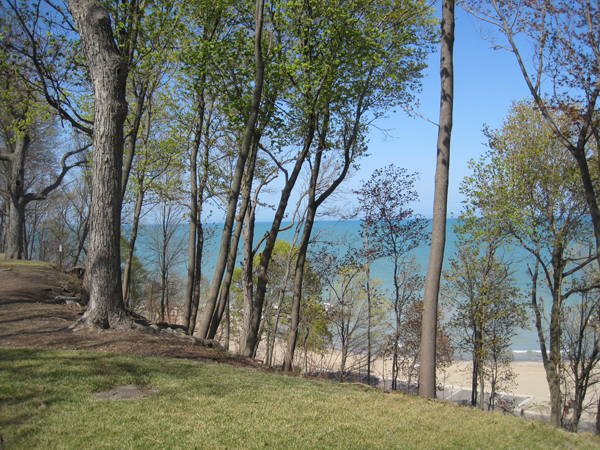 The park consists of ten acres of tableland situated between two ravines and stretches along 3,200 feet of bluff along the Lake Michigan shoreline. 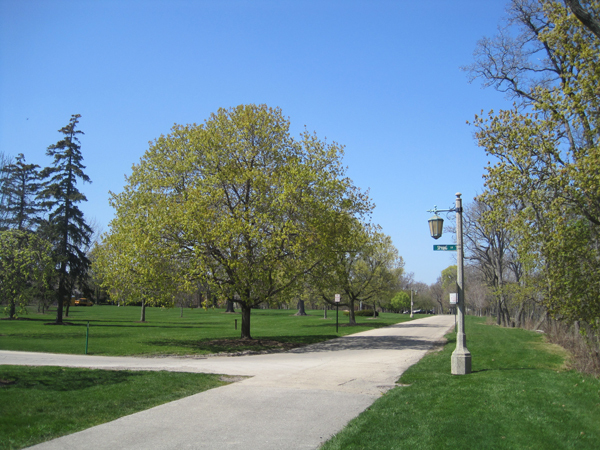 It was platted by O. C. Simonds in 1896 at the direction of the Lake Forest City Council, for whom he worked on several projects, including nearby Lake Forest Cemetery. 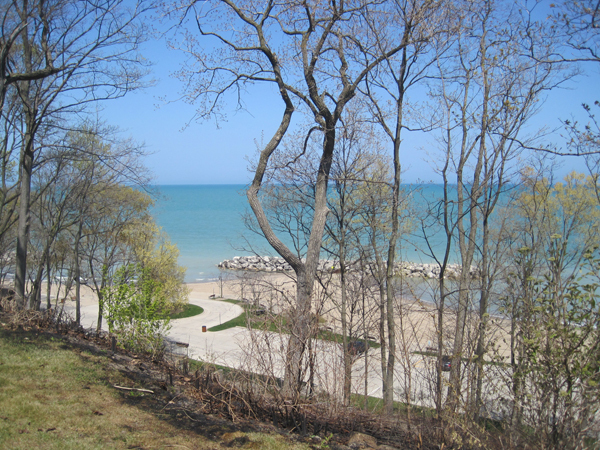 Simonds’ design includes a ring road with extensive views of the lake, walking paths across the park and down to the beach, remnants of the pre-settlement oak woodland and savanna landscape typical of the North Shore of Lake Michigan, and the use of native plants and materials. 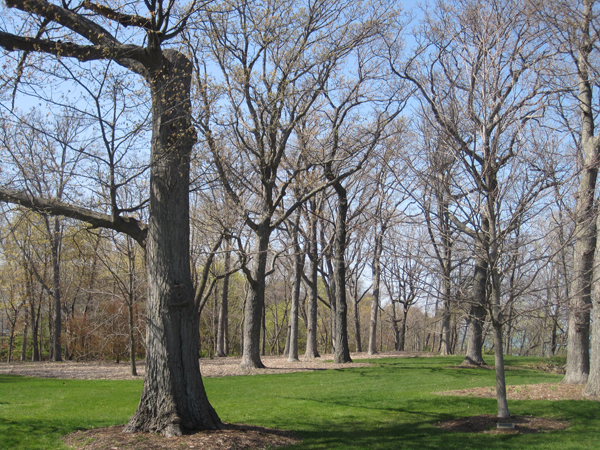 Numerous trees in the park now exceed 100 years in age and additional trees have been planted over time. 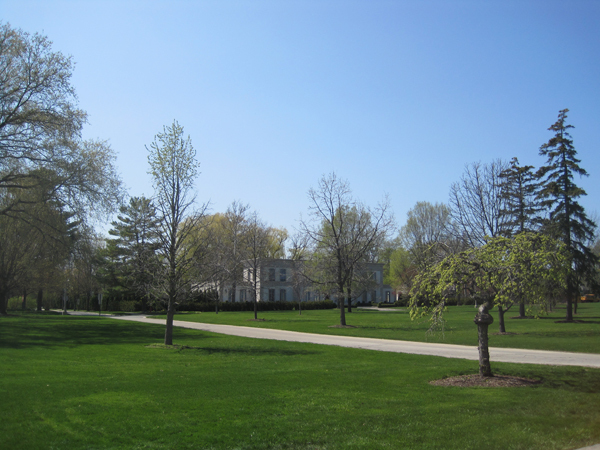 Lighting was installed in the 1930s. 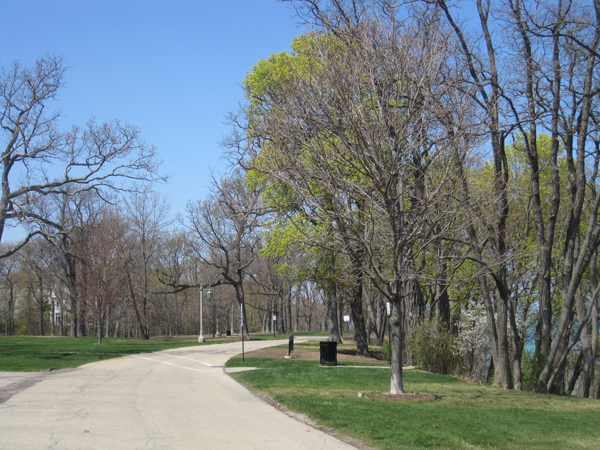 Forest Park is listed in the National Register of Historic Places as a contributing property in the Lake Forest Historic District.